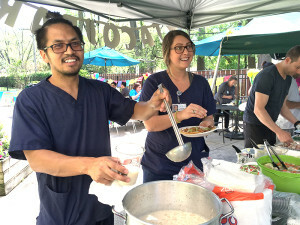 With a mixture of foods meant to reflect the mixture of people at the gathering, Generations at Oakton Pavilion celebrated National Skilled Nursing Care Week on May 16 with a picnic for all of its employees. National Skilled Nursing Care Week is a celebration of nursing homes and — of greater importance — the cooks, receptionists, janitors, entertainers and medical professionals who make them go, 24 hours a day. For an industry that can never take a holiday off, the American Health Care Association created NSNCW (formerly known as National Nursing Home Week) in 1967. 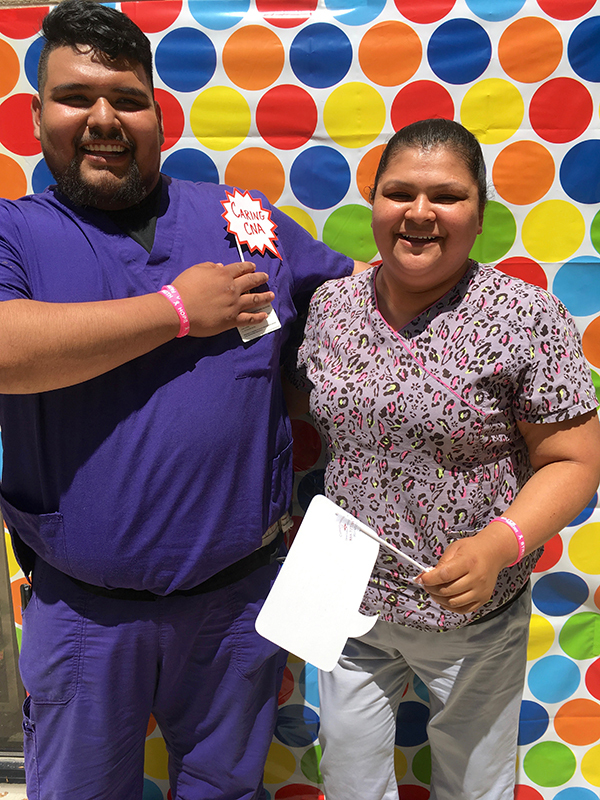 In the Pavilion’s back-yard patio, certified nursing assistant Nidia Barraza said she saw plenty to celebrate with her coworkers. “We’re like a family, we know everybody,” Nidia said. Oakton Pavilion’s staff members dived into a taco assembly line, cooked and prepared the day before and that morning by housekeepers Maria Cardernas and Fabiola Rivera. The pair dished out chicken, chorizo and beef (plus the milk-based beverage horchata) using recipes from the Mexican state of Jalisco. Nidia started nursing at the Pavilion in 2014. At the next table, administrator Bart Barrish looked over his staff’s gathering. Other Pavilion events included the “breakfast of champions” on Tuesday morning, where the dietary staff made eggs, sausages and croissants (served by the department heads), and “crazy hat Friday.” Bart said he planned to wear a Chinese bamboo hat; admissions director Joclyn Abreu promised to make an ensemble at home, from scratch, but would not give any hints at what it would be. “It has to come to me in the moment of creating it,” Joclyn said. Nursing director Mylin Lardizabal got started on that event early, wearing a sombrero to the taco party. She also brought flan, a traditional dessert from her native Philippines. 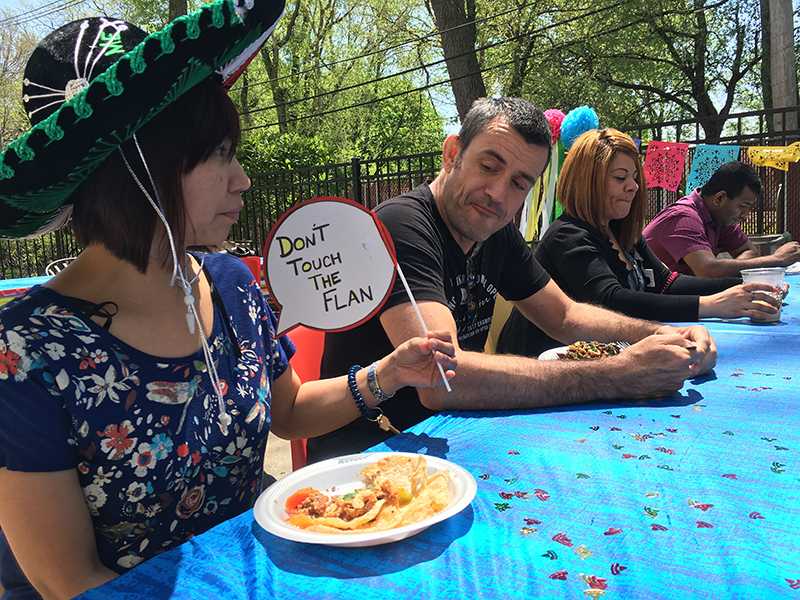 The mix of food and fun was deemed a success by the Pavilion’s dietician, Cathleen Pike, who combined chicken and beef tacos with cucumbers, and a slice of Mylin’s flan. Generations at Oakton is very proud of its extraordinary staff, and their work ethic is recognized and appreciated by all, year-round.